Hedwig “Heidi” McKnight, 77, of Pick City, ND died peacefully on November 5, 2018 at Knife River Care Center, Beulah. Services will be held in the spring. Heidi was born on October 28, 1941 in Heimbach, Germany to Eduard and Helena (Schmidt) Reiffurth. She came to the United States in December 1961 and married Dennis McKnight on December 30, 1961 at Fort Riley, Kansas. The couple had two daughters, Janet and Linda. 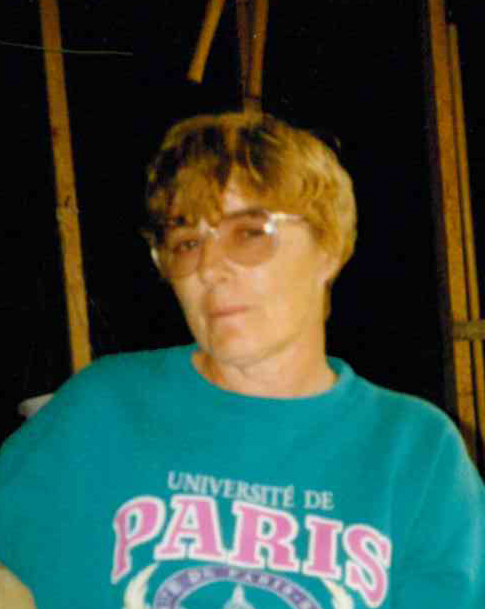 Heidi worked at the Freedom Mine north of Beulah for many years. She served on the Pick City Fire Department and on the city council. Heidi was proud when she became a United States citizen. She was a good person and will be greatly missed. Heidi is survived by her husband, Dennis of Pick City, ND; her daughters, Janet (John) Taylor of Joshua, Texas and Linda (John) Arens of Big Lake, MN; two granddaughters, Lindsay Sorensen and Stormie Sims, both of Fort Worth, Texas; one sister-in-law, Beverly (Joe) Euclide of Sheboygan, WI; three brothers-in-law, Morris McKnight of Beverly Shores, Indiana, Dale (Rita Gilbert) McKnight of Center, ND, and Bruce McKnight of Minot, ND; many nieces and nephews; and many cousins still living in Germany.